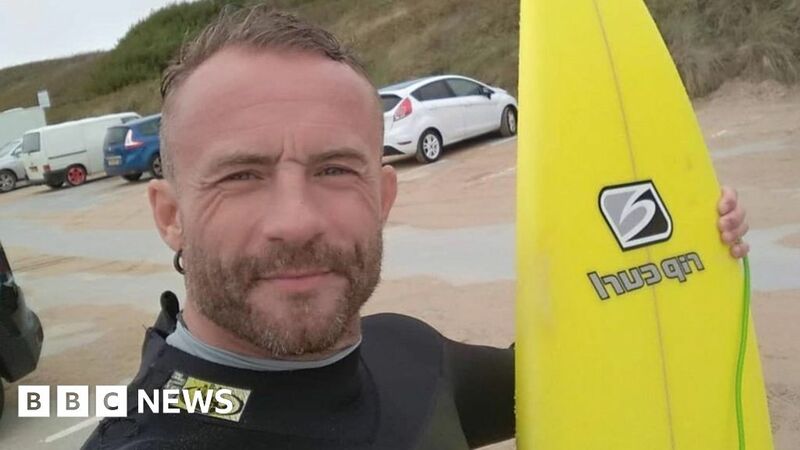 A British man says he could face up to 15 years in an Indonesian prison after being found with cannabis oil which he says he needed for medical reasons. Pip Holmes, from Cornwall, was arrested for drug smuggling when he went to collect a package containing the oil. The 45-year-old artist says he asked a friend to send it to him while he was living in Bali to help his arthritis. Indonesia has very strict anti-drugs laws and frequently arrests foreigners on drug-related charges. Mr Holmes says he was aware of the penalties and his actions were “foolish and dumb”. He was detained on 3 December after going to pick up the package, sent from Thailand, which contained essential oil bottles with cannabis oil inside. After spending six days in a police cell, Mr Holmes was transferred to a police hospital rehabilitation facility as his lawyers argued he was a drug user – after he failed a drugs test – rather than a trafficker. However, he is still facing a drug trafficking charge and was paraded in front of the cameras last week for what he calls a “very surreal and bizarre” news conference. He sat alongside four other men accused of drug smuggling, which can carry the death penalty in Indonesia. Despite reports that Mr Holmes could be facing that punishment, he says the small quantity of drugs found on him means that is not the case. Speaking from the rehabilitation centre, where he is locked in a room and guarded by two men but has access to a phone, he told the BBC the press conference was “really harrowing”. He said he doesn’t feel like he is a criminal drug trafficker, but the Indonesian press are painting a picture of him along those lines. “I just wanted to stand up and say I’m really not in this category, but the law is very different here and it’s very harsh. In the UK medicinal cannabis products can be legally prescribed to some patients after rules were relaxed earlier this year – although access is very limited. The father of two, whose 11-year-old son and eight-year-old daughter live in the UK with his ex-wife, has had arthritis for eight years and says it was caused by years of practising Thai boxing. Mr Holmes is no stranger to travelling – he spent time in Canada earlier this year, while he has a tattoo studio in Thailand – and he arrived in Bali at the end of October planning to spend a couple of months surfing and painting. Indonesian law does not recognise medical marijuana use. He says he is facing a sentence of between five to 15 years at Kerobokan prison in Bali – a place Mr Holmes calls “horrendous” and “terrifying”. The BBC has been unable to confirm with the Indonesian authorities what sentence he might face. However at his next court date, expected to be in January, Mr Holmes is hoping to be classed as a marijuana addict and be eligible for a rehabilitation sentence. He says although the police reported that he was found with 31g of medicinal THC oil, that weight included the bottles (28g). Anything smaller than 5g, he says, would make him eligible for a sentence of around 12 months in a rehabilitation facility instead. He says he needs to raise money to fight his case. He says: “I have no idea what is going to happen to me next.